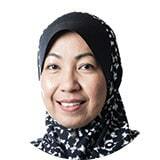 As a partner in the Litigation Practice based in Johor Bahru, Suzana is in charge of the Motor Insurance Department. Suzana advises our clients on third party claims, fraudulent claims and denial of collisions, subrogation claims and all related matters under the Road Transport Act. She has successfully defended the insurance companies in several fraudulent claims. Suzana also has conducted trials in the High Court and has represented her clients in the Court of Appeal. Suzana has successfully defended the insurance companies in non-motor insurance policy matters related to public policy, fire insurance policy, contractors all risk policy and theft. Other than motor insurance, Suzana is experienced in all aspects of civil litigation mainly debt recovery, civil appeals, commercial and industrial disputes and contract law. After completing her pupillage at M/S Othman Hashim & Co. in Kuala Lumpur, Suzana worked with a few legal firms in Johor Bahru before joining the firm in year 2008.